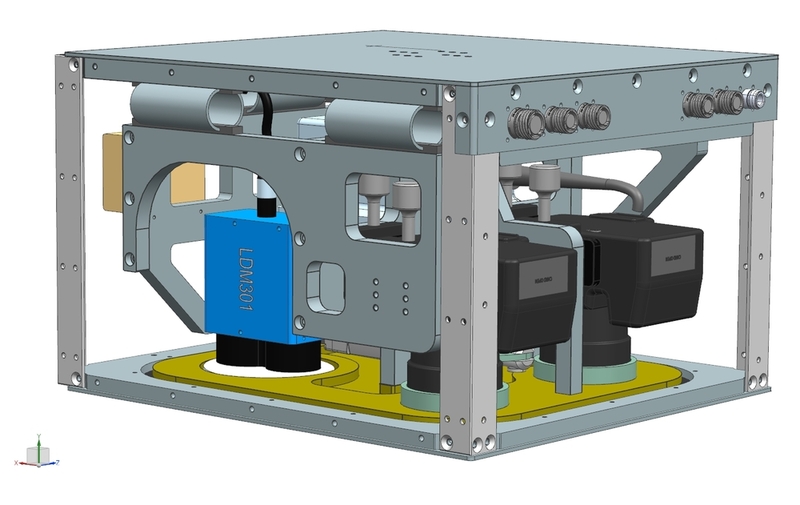 The Nose Equipment Pod has been developed to introduce on the AS350 helicopter to locate in a single “easy to install” pod different type of survey sensors (such as Cameras, Laser scanners…). The pod is mounted on AirFilm Camera Systems AFSP-1 single pole mount. A variety of different type/models of sensors can be installed inside an aluminum machined pod customized around the customer’s sensors. Internal dampers can be fitted according specific sensor needs. The installation is entirely removable and can be easily fitted without need of special tools. The maximum Pod’s weight, including sensors, is 68 kg (150 lbs) with a maximum frontal area of 2322 cm2 (2,5 sq. ft) and 15 cm (6 in) ground clearance. Computers, data loggers and acquisition units associated to the externally mounted sensors, alongside with a keyboard and a foldable screen can be installed in a dedicated computer rack mounted in the aft cabin. The customized Pod is designed to fit customer’s sensors and is supplied as a kit.